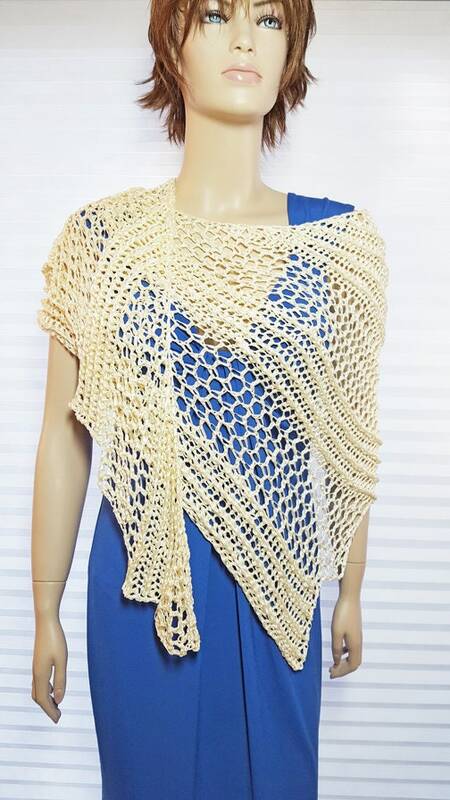 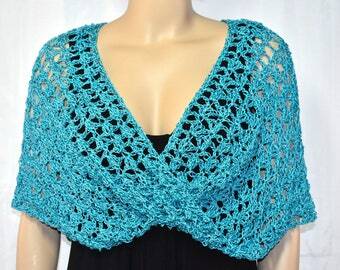 This is a lovely crochet shawl, ruana, wrap, or scarf in a shimmery ivory ribbon yarn. 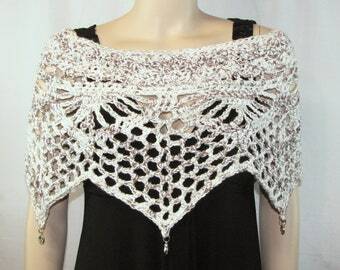 The shawl is made of Tactel ribbon yarn. 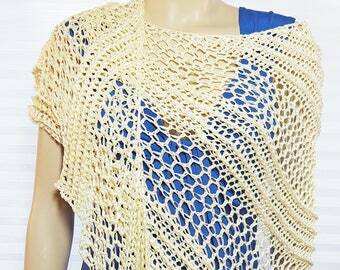 Washing shouldn't be necessary but if it's ever needed, it's best to wash by hand and lay flat to dry. 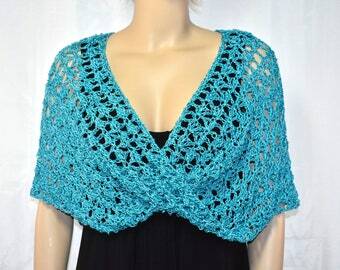 I'd also be happy to make multiple copies for bridesmaids or any event where multiple matching or coordinating shawls are needed!